Last year was a great year for the fleet. Officers from around the fleet were recognized for their individual efforts toward the success of the feet as a whole. Some thrived on their ship, making it a creative wonderland where their dreams of the Star Trek universe can come to life. The Staff of UFoP: Starbase 118 would like to again congratulate this years winners! 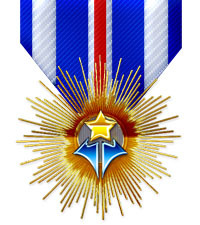 If you missed it, check out the 2011 Awards Ceremony on the wiki! Or visit the Community Awards wiki page!